Note: Only available to HSBC Advance customers, Eligibility criteria apply. Note: Only available to HSBC Premier customers. Eligibility criteria apply. - With your HSBC Gold Mastercard, you can earn 3 bonus points when you use your card to dine or shop locally. Redeem rewards faster using your bonus points. - With your HSBC Classic Credit Card, find flexibility and freedom when making purchases. Earn rewards in exchange for discounts and special deals. Note: HSBC Gold Mastercard and HSBC Classic Visa/Mastercard Credit Cards are currently not available to new customers. Kailan ako maaring mag-apply muli kung na-decline ako nung huli kong subok? 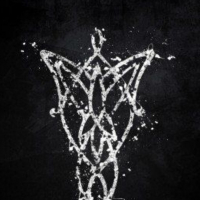 Maghintay ng tatlong buwan bago mag-apply muli. Kailan ako maaring mag-apply muli kung na-approve ako nung huli kong subok? Maghintay ng anim na buwan bago mag-apply muli. Mahigpit ba ang 6-months rule nila? Kailan dumarating ang CA PIN? Maaring mauna itong dumating kesa sa iyong credit card, kung sakaling natanggap mo na ang iyong credit card at nakalipas na ang isang buwan at hindi mo pa nakukuha ang iyong CA Pin, maari ka na tumawag sa kanilang hotline upang magrequest ng: Panibago o Branch Pick-up. May Credit Card Consolidation ba sila? Ano ang TransUnion o TU? Ang TransUnion o TU ay isang institusyon kung saan maari mong makita ang ulat ukol sa iyong pinansyal na karanasan. Kasama rito ay ang Credit Card, Loans (kasama pati Home Credit), atbp. Tanging mga kasapi lamang ng TU ang makikita mo sa report. Para saan naman ang Ulat o Credit Report na ibinibigay ng TU? Credit reporting provides benefits for lenders, borrowers and the economy at large. It helps businesses reduce risk, increase production and sales, and improve profitability. It also helps create opportunities for consumers to accomplish more of what they want in life. This depends on a current, comprehensive database of consumer data provided by businesses like yours. Paano kumuha ng Report sa TU? May bayad ba ang Report? Anong mga kailangan dalhin upang makakuha ng report? Magdala ng dalawang Government issued ID katulad ng UMID, Passport, Postal ID, PRC ID, etc. Magdala rin ng isa pang ID kahit Company ID, gagamitin mo ito pagpasok ng building na iiwanan mo sa reception. Paano kung isa lang ang Government ID ko? HSBC’s Card Balance Transfer can help you simplify things in your life and save at the same time. Consolidate all your non-HSBC Credit Card balances and transfer to your HSBC Credit Card to save on finance charges. HSBC’s Card Balance Transfer is limited to select HSBC credit cardholders (“Cardholder”) of good credit standing. HSBC’s Card Balance Transfer allows a Cardholder to transfer his/her outstanding card balances with other banks or credit card companies to his/her HSBC credit card. The approved HSBC Card Balance Transfer Amount will be subject to the prevailing monthly interest rate, depending on the chosen repayment period. The Cardholder may only transfer balances from a primary, non-HSBC credit card under his/her name to his/her primary HSBC credit card. Balance transfers from one HSBC credit card to another HSBC credit card are not allowed. The HSBC Card Balance Transfer amount must result to a monthly installment amount of at least PHP500.00. Only the amount of transactions posted that form part of your total outstanding balance on your non-HSBC credit card at the time of application may be subject to HSBC Card Balance Transfer. 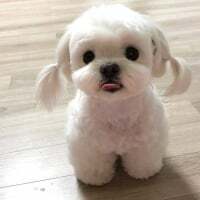 In the case of installment transactions, only the monthly installment amount posted to the card at the time of application may be covered by the HSBC Card Balance Transfer transaction. HSBC shall have the absolute and exclusive right to approve or decline all HSBC Card Balance Transfer applications. HSBC shall approve only up to the HSBC Card Balance Transfer Amount applied for and may, at its sole discretion, approve only a portion thereof without need to inform the Cardholder beforehand. The Cardholder shall be responsible for following up with HSBC on the status of his/her HSBC Card Balance Transfer application. In case of a declined HSBC Card Balance Transfer application, HSBC is not required to notify the Cardholder of such declined application and the reason thereof. For this purpose, the Cardholder may call (02) 85-800 or 1-800-1-888-8555 (domestic toll-free for calls outside of Metro Manila through PLDT landlines). HSBC shall not be liable for overdue charges of the Cardholder’s non-HSBC card or the card account being overdue, or any interest or penalty charges imposed upon the Cardholder as a result of the declined HSBC Card Balance Transfer application. 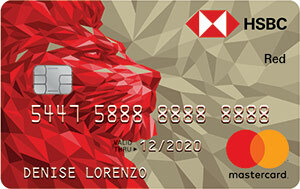 The approved HSBC Card Balance Transfer Amount plus the total amount of interest for the chosen repayment period shall be deducted from the available credit limit of the HSBC credit card at the time of approval,but shall be posted at Statement billing / cut-off date in fixed equal monthly installment amounts on each statement of account. The entire monthly HSBC Card Balance Transfer Installment Amount shall form part of the Minimum Amount Due on each statement of account. Cardholders shall have the option to pay the Minimum Amount Due, every month, but if the Cardholder revolves any portion of the Total Due in any given month, the account will be subject to the computation of the Finance Charge and Late Payment Charge (if applicable) for that month. In case any portion of the HSBC Card Balance Transfer Amount remains unpaid after the chosen repayment period, the remaining unpaid HSBC Card Balance Transfer amount shall be charged the prevailing, standard monthly finance charge of the HSBC credit card. Once an HSBC Card Balance Transfer application is approved, HSBC in behalf of the cardholder, shall credit or pay, the non-HSBC credit card the amount of the approved HSBC Card Balance Transfer Amount. The issuing bank may charge a fee that will be debited from the approved HSBC Card Balance Transfer amount. The said charges shall be for the account of the Cardholder. 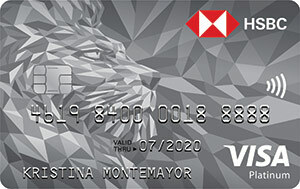 HSBC shall not be liable for interest, or any over-payment of the credit card outstanding, nor for any late payment or other finance charge that the Cardholder may incur as a result of failure or delay by HSBC in making the payment before the due date of the Cardholder’s non-HSBC credit card. Once approved, the HSBC Card Balance Transfer transaction can no longer be reversed. In case of pre-termination or cancellation of the approved HSBC Card Balance Transfer transaction before the end of the chosen repayment period, HSBC reserves the right to charge to the Cardholder’s account Three Hundred Pesos (Php300.00) or 5% of the HSBC Card Balance Transfer Amount remaining unpaid as of the date of pre-termination, whichever is higher, as a processing fee for the pre-termination of the HSBC Card Balance Transfer transaction. The Terms & Conditions governing the issuance and use of the HSBC Credit Card and the HSBC’s Card Installment Plan are incorporated herein by reference and made an integral part thereof. With HSBC’s Card Balance Conversion Plan, you can go on that adventure you’ve always wanted and live life to the fullest. Convert your recent expenses on your HSBC Credit Card to affordable installments, payable up to 24 months. 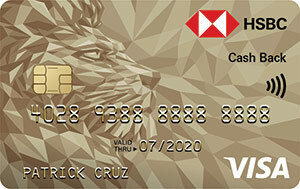 HSBC’s Card Balance Conversion Plan is limited to select HSBC credit cardholders (“Cardholder”) of good credit standing. HSBC’s Card Balance Conversion Plan allows a Cardholder to convert a non-installment or straight retail transaction (Straight Transaction) on his/her HSBC credit card (the “Card”) into installment within the same Card at the applicable interest and other fees. Cash advances, interest charges, fees and unbilled installment amortizations may not be converted into installment via HSBC’s Card Balance Conversion Plan. The HSBC Card Balance Conversion Plan amount must result to a monthly installment amount of at least PHP500.00. 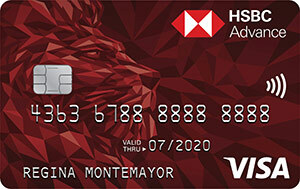 The Total HSBC Card Balance Conversion Plan Amount plus its total Interest Amount shall be deducted from the available credit limit on the HSBC credit card account, which should be sufficient to cover the sum, at the time of approval, but shall be posted at statement billing / cut-off date in fixed equal monthly installment amounts on each statement of account. The Total HSBC Card Balance Conversion Plan Instalment Amount is computed as the approved HSBC Card Balance Conversion Plan Amount plus the total amount of the Interest for the chosen repayment period. HSBC shall have the absolute and exclusive right to approve or decline all HSBC Card Balance Conversion Plan applications. HSBC may, at its sole discretion, approve only a portion of the HSBC Card Balance Conversion Plan Amount applied for without need to inform the Cardholder beforehand. The Cardholder shall be responsible for following up with HSBC on the status of his/her HSBC Card Balance Conversion Plan application. In case of a declined HSBC Card Balance Conversion Plan application, HSBC is not required to notify the Cardholder of such decline and the reason thereof. For this purpose, the Cardholder may call (02) 85-800 or 1-800-1-888-8555 (domestic toll-free for calls outside of Metro Manila through PLDT landlines). HSBC shall not be liable for overdue charges of the Cardholder’s HSBC card or the card account being overdue, or any interest or penalty charges imposed upon the Cardholder as a result of the declined HSBC Card Balance Conversion Plan application. If the cut-off has already passed at the time of HSBC Card Balance Conversion Plan approval, Cardholders will still have to pay the Minimum Amount Due stated in his/her latest Statement of Account even if the transactions included are already converted to HSBC’s Card Balance Conversion Plan. The Cardholder’s payment will be offset in his/her next Statement of Account where the HSBC Card Balance Conversion Plan conversion and the first HSBC Card Balance Conversion Plan amortization are reflected. The entire monthly HSBC Card Balance Conversion Plan Installment Amount shall form part of the Minimum Amount Due on each statement of account. Cardholders shall have the option to pay the Minimum Amount Due, every month. If the Cardholder revolves any portion of the Total Amount Due in any given month, the account will be subject to the computation of the Interest Charge and Late Payment Charge (if applicable) for that month. All HSBC Card Balance Conversion Plan Monthly Installment Amounts posted in the Cardholder’s account shall not earn additional Bonus Points or Cash Back. Should the Cardholder cancel or pre-terminate his/her installment plan under HSBC’s Card Balance Conversion Plan, the unpaid portion of his/her HSBC Card Balance Conversion Plan installment plan will be posted back as part of his/her outstanding balance for the month immediately following cancellation. 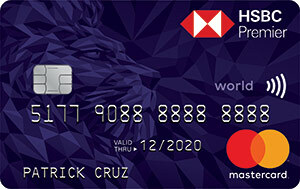 HSBC reserves the right to charge to the Cardholder’s account Three Hundred Pesos (PHP300.00) or 5% of the HSBC Card Balance Conversion Plan Amount remaining unpaid as of the date of pre-termination, whichever is higher, as a processing fee for the pre-termination of the HSBC Card Balance Conversion Plan transaction. Akala ko naligaw ako at na punta sa HSBC website. Unionbank ko 12k lang ang limit hahaha kainis gold nga pero 12k lang. Tapos 3k ang annual fee. 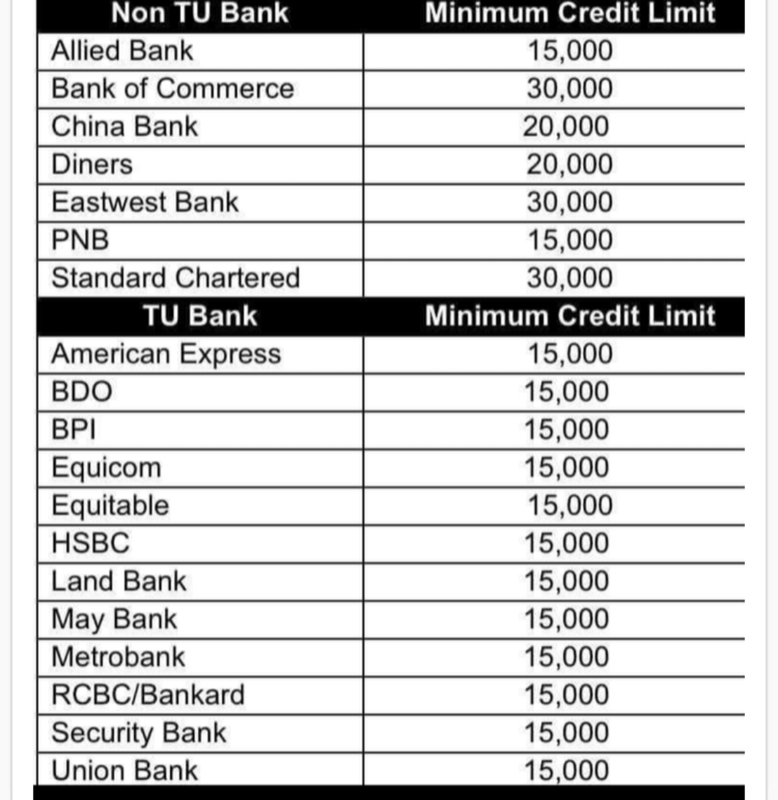 I believe this list of TU and Non-TU banks are from a Citibank Agent. They use this as reference for when and when not to accept reference cards when applying for a credit card by minimum CL required per bank. Kaso hindi na updated ang American Express, Diners, Equitable Card Network na ngayon ay kasama na sa BDO. Maging ang pagsasanib-pwersa ng PNB at ABC; at EWB at SCB. Very aesthetic nga eh. May GIF pa, akala ko nga Myspace ang napuntahan ko. Kaso hindi na updated ang American Express, Diners, Equitable Card Network ay kasama na sa BDO, nagsanib-pwersa na ang PNB at ABC; at EWB at SCB. 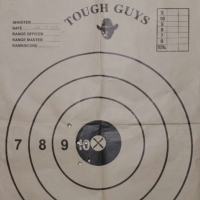 Tama. Hindi na updated ang listahan. Maaring ang mga bagong miyembro ng TU ay hindi gaanong madalas nagpapada ng report sa TU. Mayroon akong Security Bank ngunit hindi ito nakalagay sa report. Pero sana nga lahat sila ay maging kaanib na ng TU... Masama na ang AUB, RBank, atbp. Speaking of BANKARD, ang legal name ay "BANKARD, INC." and traded as "BKD" in PSE. Mas lalong hindi "RCBC Bankard" - ito lamang ay para sa kapakanan ng "doing business as" o pampublikong pangalan. Ito lamang ang aking sagot sa mga bumatikos sa akin kung bakit ko raw tinanggal ang "RCBC" sa pamagat ng sinulid 4 ng Bankard. "BANKARD, INC." lamang po ang legal name ng RCBC Bankard. Tama kayo tungkol sa SECB. Nagkaroon ako ng SCC sa kanila. Mga apat na buwan. Hindi lumabas ni minsan sa TransUnion report ko. Kaya pala laging declined nung ginagamit ko bilang reference! Ano po yung Transunion report? at paano po makakakuha neto? sorry baguhan lang nangangapa pa sa mga terms dito. It is a credit report that shows your card from banks, as well as loans and such. 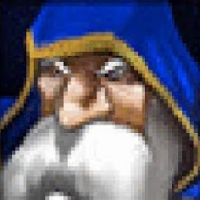 Payment history and balances are reported. Punta lang po kayo sa opisina nila sa Ayala Triangle Gardens Tower. Magdala ng dalawang government-issued ID at maglaan ng isang oras. 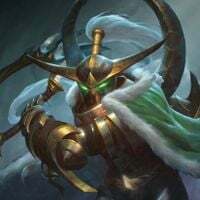 Libre lang ang report.